Prof. Werner J. Blau has been awarded the prestigious international NANOSMAT 2015 prize. This prize honours and recognizes international scientists who have shown, during the course of their professional career, outstanding achievements in the fields of nanoscience and nanotechnology. Dr Blau received the award from 2010 Physics Nobel Laureate A. Geim during a special ceremony at the beginning of the European NANOSMAT conference, which is taking place in Manchester. PhD candidate Pinar Arpacay participated in Energy Materials Nanotechnology (EMN) Istanbul Meeting in July 1-4, 2015. Main topics of the EMN Istanbul Meeting were: magnetic thin films, oxides, nanostructures and nanocomposites, carbon-based materials and devices, photovoltaic materials and devices, crystal growth and devices for energy conversion, and bionanotechnology. NANOSMAT honors and recognizes international scientists who have shown, during the course of their professional career, outstanding achievements in the fields of Nanoscience and Nanotechnology. The following two awards have been set up in order to recognise and honour the achievements of both senior and outstanding, dynamic young scientists and researchers. NANOSMAT Prize - The NANOSMAT Prize was set up in 2009 and since then it has become very popular and very prestigious amongst high calibre senior international scientists. Scroll to the bottom of this page for past NANOSMAT Prize recipients. This Year Nanosmar Winner is Profesor Werner Blau ! Congratulations! 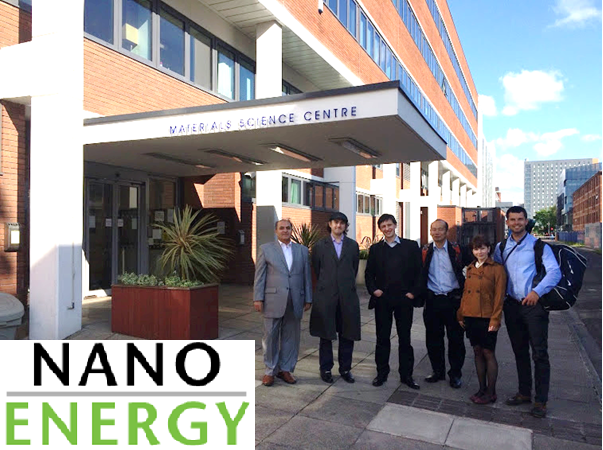 PhD Student John James Magan participated in International Conference on Nanotechnology, Nanomaterials & Thin Films for Energy Application which was held in Manchester this year. Main topics of the NANO-ENERGY Conference were: use of nanotechnology for energy applications, energy harvesting (solar cells, solar thermal, thermoelectric) or energy storage (fuel cells, batteries, supercapacitors). Topics covered ranged from nanomaterial synthesis and characterisation to device engineering.